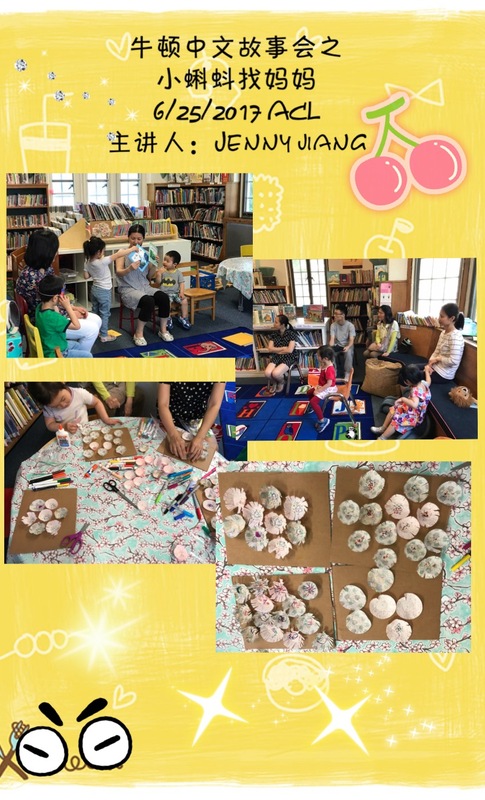 Chinese Storytime is organized by a group of moms who are native Chinese speakers and live in Newton and the surrounding towns. The goal is to promote children’s interests in reading and speaking Chinese, and most of all, to have some fun! Stories, rhymes and songs are suitable for children ages 2-5. The storytime usually lasts 60 minutes including story time and a kids craft session. Questions about the story time? Contact Jenny at jennyyongjiang@gmail.com.